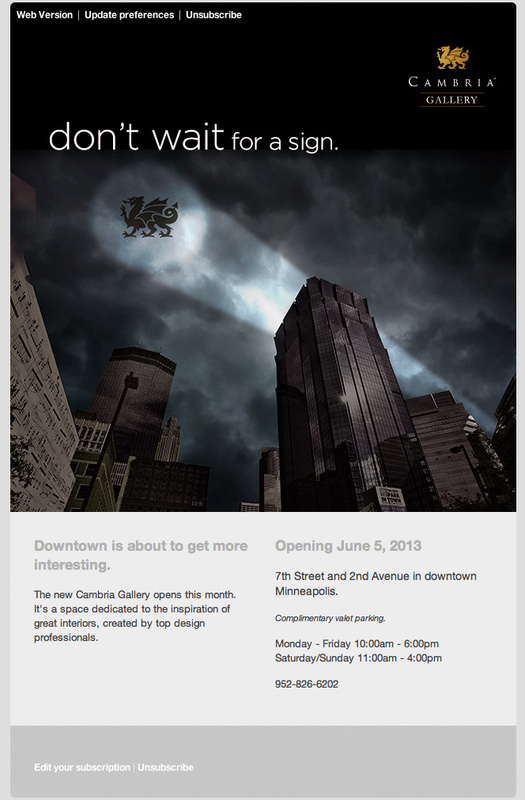 Cambria Quartz Slab Gallery will be opening their doors today in Minneapolis. We, at Creative Surfaces, are very excited about this! What a great way for customers to get a better view of what their new Cambria countertops will look like – by seeing a whole slab of their design! The Stone Center is the local distributor of Cambria quartz countertops. Located at 2105 S. Minnesota Ave in Sioux Falls. We also have a showroom in Rapid City, SD – Creative Surfaces of Black Hills. While we may not have full size slabs of the designs to look at, we DO have all of the designs on display in our store. With 102 designs, surely there is one that will look great in the kitchen you are remodeling or new home you are building. Cambria is….Non- Porous – Strong & Durable – Maintenance Free – Food Safe – Stain-Resistant – All Natural – has Everlasting Value – Lifetime Warranty with Cambria® – and Cambria® is a Green Product. Stop by the Stone Center or Creative Surfaces of the Black Hills and let our on-staff designers help you find the right design to give your project that WOW factor.